My glass project is finally coming together! I am feeling so much more relaxed about getting everything finished in time, it was all hanging over my head and feeling stressful. At last the experiments have paid off and I’ve found a design I’m really happy with. I’ve gone from tense to very relaxed overnight. 🙂 I went to Bunnings and bought sandpaper and wire. 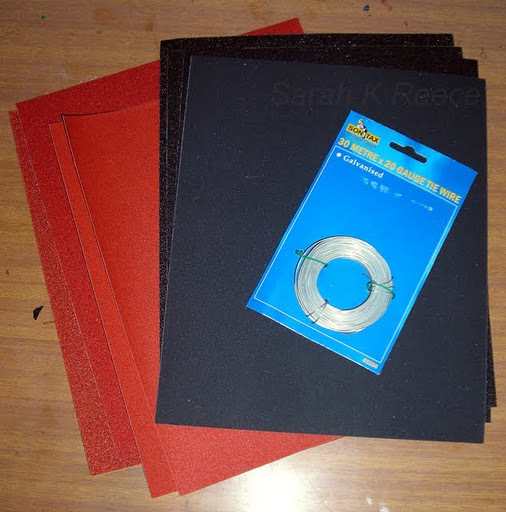 The orange papers are for wood, the black ones are wet and dry papers suitable for glass. 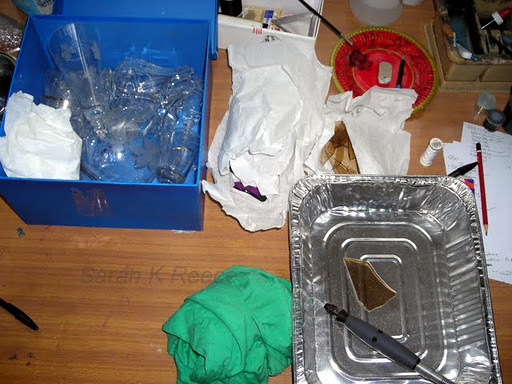 I did a lot of experimenting with my Dremel too, there was no way to get hold of a cement mixer cheaply (you can use it to make sea glass) but I needed a way to work the glass faster than the hours of work with wet fingers that the sandpaper takes. The dremel has a grinding attachment that works great after some fiddling with it. 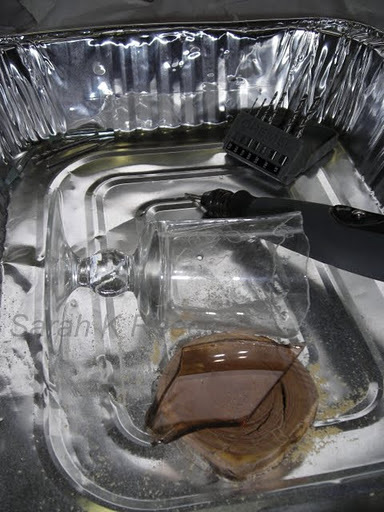 The key is to keep the speed fairly low so it doesn’t chip into the glass, and wear lots of safety protection! Glass dust is nasty. Unfortunately, this was hard on my diamond tip, it actually stripped the tip completely rendering it useless. 😦 They’re quite expensive so I was pretty disappointed. All part of the process unfortunately. 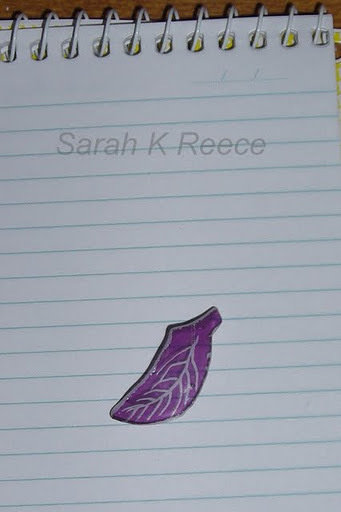 I loved the effect of carving this purple glass, the purple is in a layer on one side, so engraving it is very effective. 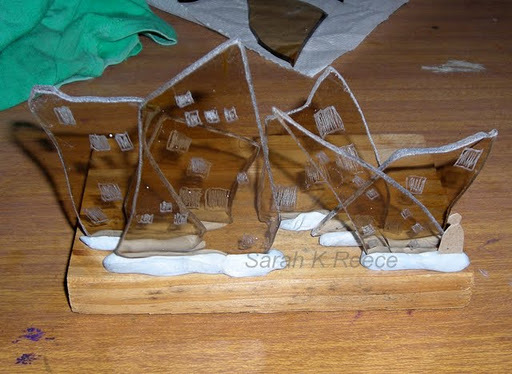 This was my final design however – using the curved smoky glass shards from a light fitting to represent a broken city. 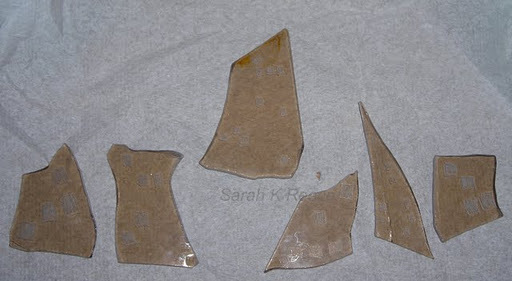 The shards are ground smooth and then have little windows etched onto them. and warm my hands at the dying of the sun. it's a dark but beautiful poem: a haunting fragment. it is so good you journal your poetry; I journal mine and frequently enough I go back and find abandoned poems which I bring to life: 'the Bell' was such a one and so too was 'Certificate', a popular poem which you'll find if you scroll down.